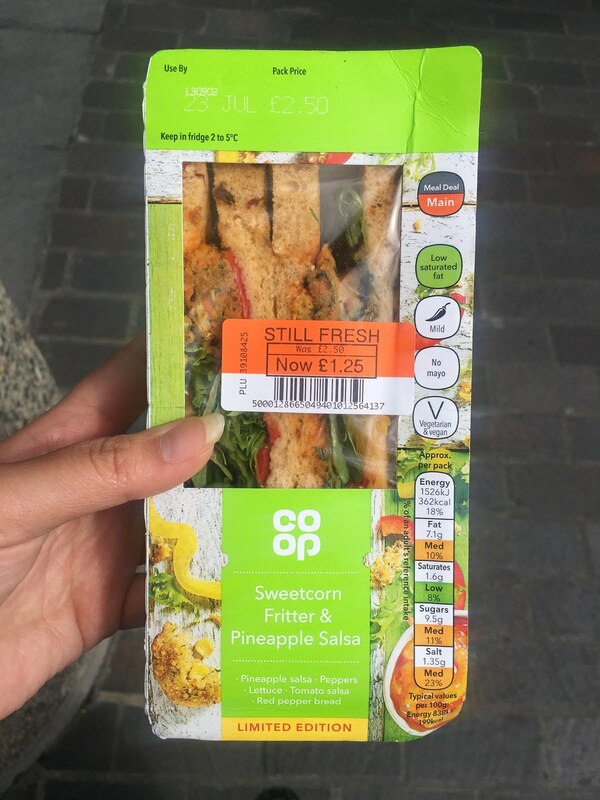 Food: Sweetcorn Fritter and Pineapple Salsa Co-op Sandwich - Daisy Chains. Hey all, today I have a quick post about this amazing sandwich I found in Coop awhile back. The sandwich is both vegan and vegetarian and is super duper delicious. Unlike the packaging, it actually isn't spicy at all, it's not even mild. It is disappointing that the sandwich is only limited edition as it is excellent alternative to the usual falafel that is usually on offer. What's your favorite vegan food from coop ( other than the donuts).